Hon. Joseph Parry, will join the Nevis Housing and Land Development Corporation (NHLDC), residents of Cherry Gardens, community partners and well wishers to mark the official opening of the Cherry Gardens Housing Development on Friday, January 14, 2011. The event will commence at 6pm at the Low Ground Estate. 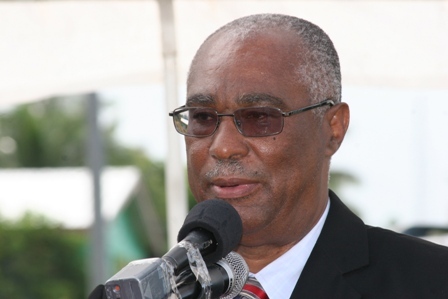 According to Premier Parry, the provision of affordable homes had always been a priority for his Nevis Reformation Party (NRP) led Nevis Island Administration (NIA). “It has been part of my government’s commitment to provide affordable, comfortable housing for the people of Nevis and we have accomplished this with the completion of over 280 homes across the island, during the first 3 years of our leadership,” said the Premier. The Cherry Gardens Housing Development has seen the construction of 115 affordable homes, which were constructed as part of the “Stimulus Package” which ensured employment for a number of plumbers, masons, electricians and construction workers during one of the most challenging economic recessions that the world and by extension Nevis has seen in recent times. General Manager of the NHLDC, Mr. Eustace Nisbett during a recent tour of the Cherry Gardens Project explained that the ownership of land was central to the empowerment of an individual and this was the transformation sought by the Corporation and the NIA. “Page 20 and 21 of the NRP 2006 Manifesto made specific reference to land ownership and we are merely fulfilling that mandate,” said Mr.Nisbett.